This part is compatible with QI WIRELESS CHARGING devices. See Chart Below. SCOSCHE WIRELESS CHARGING CAN ONLY BE SOLD TO AUTHORIZED RESELLERS - CONTACT YOUR REP FOR DETAILS. 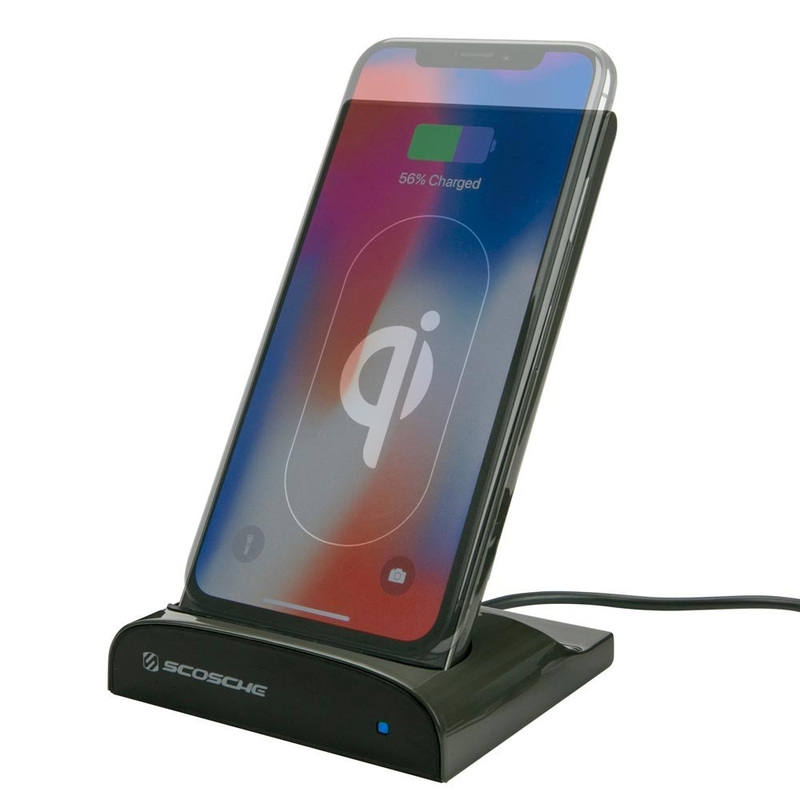 This Qi-certified wireless charging dock delivers up to 5W of charging power, or 10W with Fast Charge compatible Samsung devices. Simply place your devices on the dock to instantly start your charge. The unit easily separates from the base allowing it to become a portable backup battery. Providing you with the ability to wirelessly charge, you also have the option of plugging in another device to charge up to 12W.